Good food and good company should be Passover meal requirements. And so should a table set with elegant or modern or child-friendly ritual objects—whichever best expresses our personal aesthetic. These new designs from artists in Israel and North America not only add a special touch to the Seder table, they also give tangible, often graceful, expression to the Passover story. 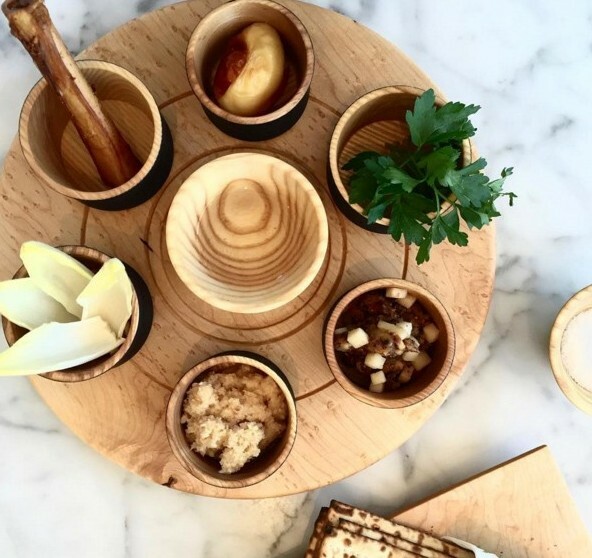 The Modern Rustic Seder Plate from Fig Tree & Vine (from $185), created by Canadian woodworker John Ward, brings a simple rustic flair and a hint of the outdoors—Passover takes place in the Spring, after all—to the table. 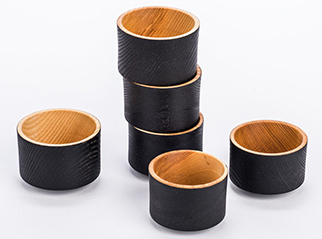 The bird’s-eye maple plate is decorated with concentric circles while the coordinating bowls (right) are crafted from ebonized ash. Photos by Johnny CY Lam. Israeli pottery house ClayismyArt uses the landscape of the Jewish state as inspiration for a collection of lead-free clay tableware. 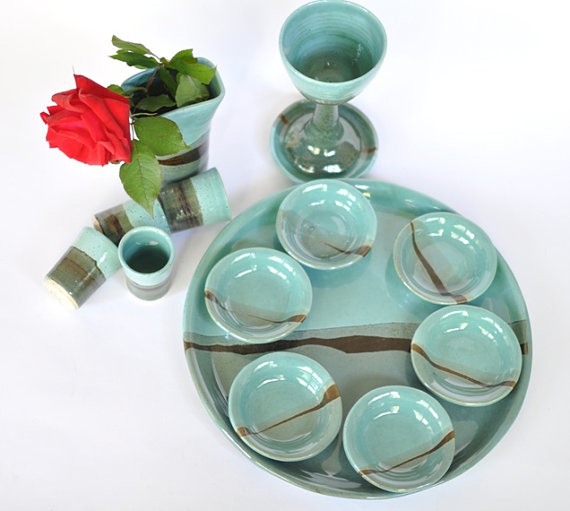 This teal-and-turquoise Seder plate (from $99), part of a series that includes a wine goblet (from $38), recalls the colors of the Dead Sea. 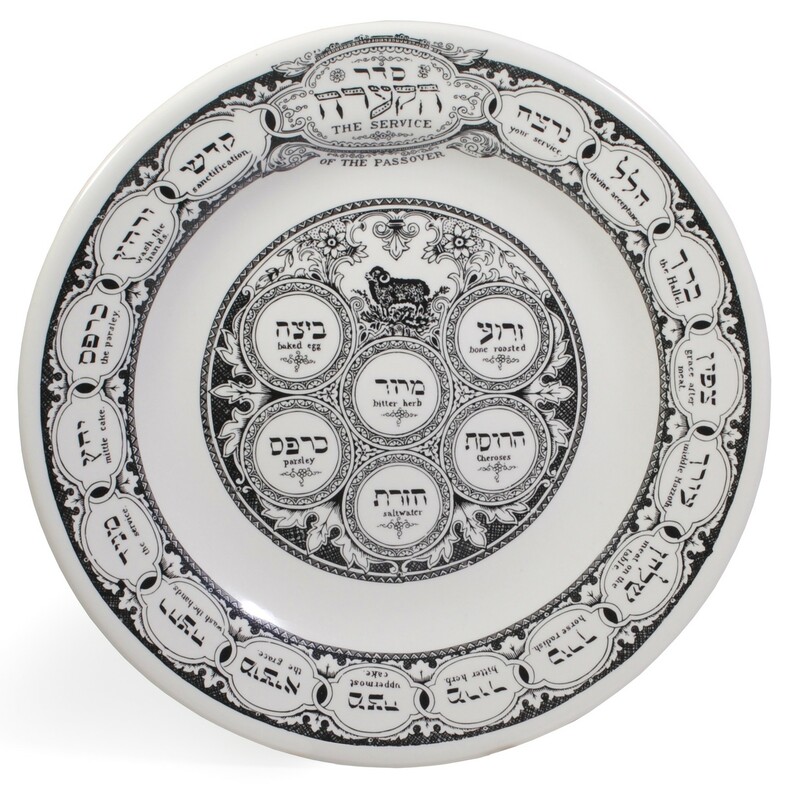 New York’s Jewish Museum has the ultimate in classic Seder tableware with the Order of the Seder Passover Plate (from $88), a sturdy reproduction of a plate from 1923 England commissioned from noted New York home goods purveyor Fishs Eddy. Building with bricks can be fun, despite the experiences of our ancestors in Egypt, particularly when using LEGO bricks. 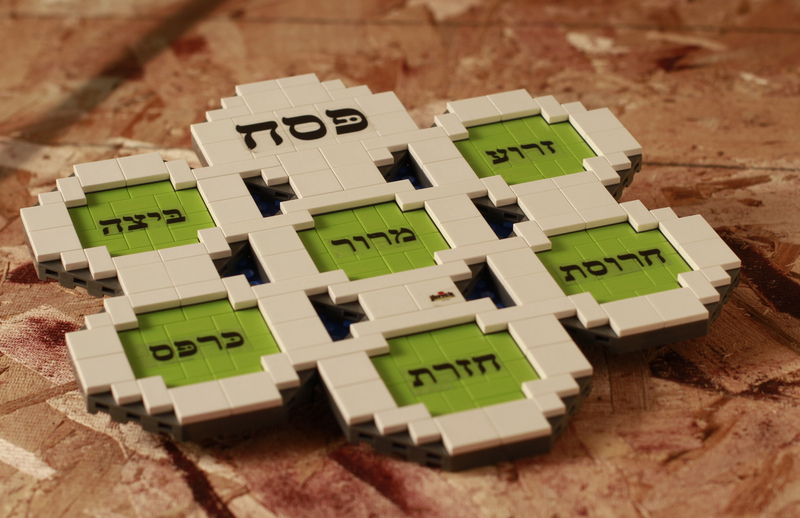 JBrick’s 2-in-1 Custom Seder Plate set ($95), which comes with 232 LEGO pieces and instructions for two different plate designs, is perfect for kids—or any LEGO lover. Jbrick specializes in Jewish-themed custom LEGO sets. 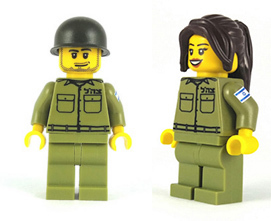 Those looking for a Zionist addition to their collection should check out their series of 14 Israel Defense Forces minifigures, both men and women (from $20 each). Colorful, playful and graphic are the trademark of Jerusalem-based Barbara Shaw’s Judaica and home goods, and her new Seder plate (from $99), Mah Nishtana apron (from $29) and matza storage tin (from $18) add a bright pop of color to any Passover table. Joy Stember‘s takes on Passover classics have a hard-edged industrial appeal. 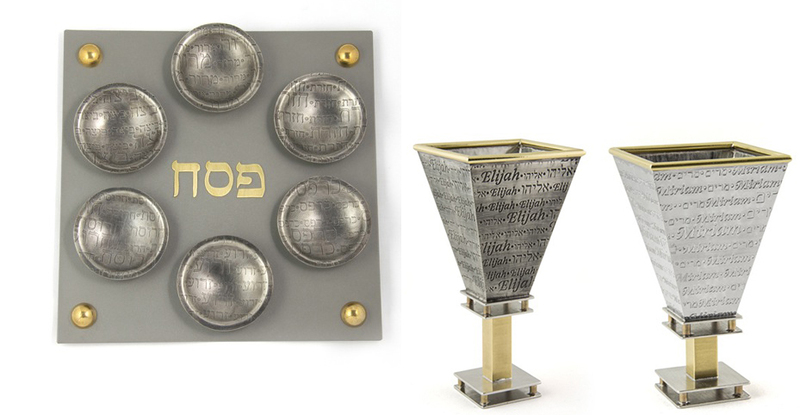 Her Seder plate (from $250) and matching Elijah’s cup (from $250) and Miriam’s cup (from $220) are crafted from powder-coated steel, pewter and brass.